The NANS , Oyo state state axis , has planned to visit the LAUTECH management to deliberate against LAUTECH senate recent actions which was termed "embarrassing" from a message being signed by the Chairman , NANs JCC Oyo axis . Our attention in the Association has been drawn to a rather worrying and embarrassing public release by the Registra of the Ladoke Akintola University of Technology, in which 12 Vibrant Student Leaders were either Expelled or Suspended and their proposed increment in tuition fee. In response to this, we the recognized body saddled with representing the genuine interest of Nigerian Students in Oyo State, do hereby expressly state our displeasure and frown at the deliberate clampdown on Students Activists and Leaders of the Ladoke Akintola University of Technology,we hereby also call for the total reinstatement of all Expelled Student Leaders and immediate halt of plans to increase the said fee, knowing fully well also that Examination starts on Monday next week. 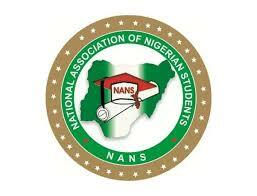 NANS as an organised body with clear Goals as stated in its Charter of Demand or Constitution, acts in a Non-anarchical and Organized way, and We follow Due Process and to be clear too, NANS is vested with the Responsibility of Protecting the Rights and Interests of Students across all Tertiary Institutions in Nigeria and Abroad, and we would not shy away from rising to the aid of our members. We are aware of the situation in which the Ladoke Akintola University of Technology is in right now and for the sake of the records our intervention is due. Therefore, we are coming for the purpose of liberating the Students of the Ladoke Akintola University of Technology. There is an Organised structure of Leadership and without the Desperate call of Students within the University We cannot enforce a will. However, students have consistently called on the body and a space has been made for reconsideration. Therefore We Are Coming. Yes we're Coming, we hereby call on the Over 60,000 Students across the 17 tertiary institutions in Oyo State to mobilize as we storm LAUTECH to effect the reinstatement of our members and register our displeasure in respect to the proposed increment. 2). The reinstatement of the 12 Expelled Students Leaders. 3). That there is an halt to any plan of increment in the tuition fee of the university. We call on Civil Rights Societies and Progressive Press to Monitor the situation as closely as possible for Proper Reportage and Public judgment. Chairman, Nans JCC Oyo Axis.